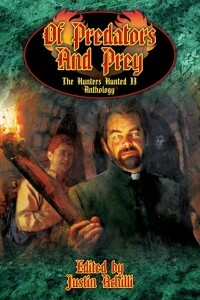 Of Predators and Prey: The Hunters Hunted II Anthology is now available in print at DriveThruFiction! Do people who helped Kickstart HH2 and got the PDF get a discount of the POD? If not, I understand. That…really didn’t answer my question at all. But thanks for linking a previous Monday Meeting, I guess? But still, my question was in regards to Kickstarter backers(which the MM doesn’t address, unless I missed it) as opposed to simply people that purchase the PDF(which I KNOW get the discount). 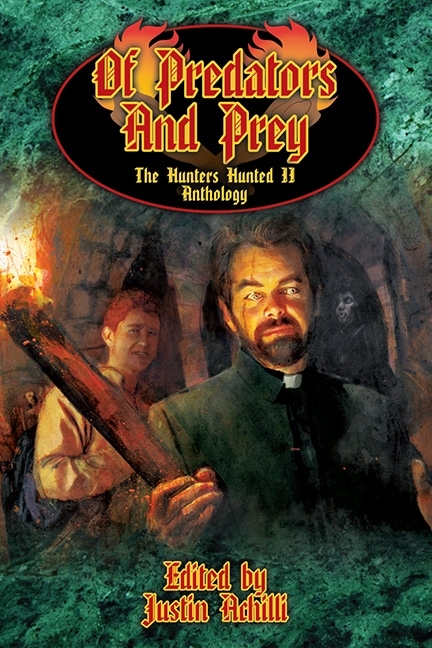 I backed HH2, and got the pdf for free, so I wasn’t sure if I “counted” as someone who purchased the PDF on DriveThru that did not back the KS.